Rhett believes both Calvinism and Arminianism fall short, so his "quest to find an orthodox, biblical worldview for how God relates to us and the world remains ongoing." Yep, God is still sovereign. 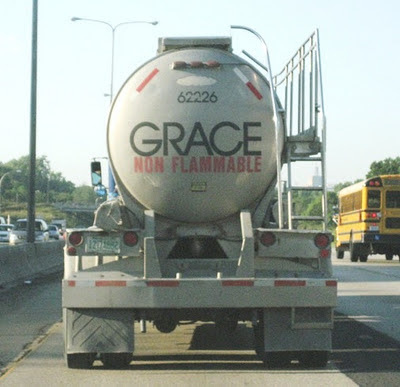 "The concept of Sovereign Grace," writes Michael Spotts, "is simple enough, like black coffee. It's just beans and water. Some people hate it, some cannot start a day without it. That God is the decider of fates may seem at first bitter to him that distrusts God's benevolent intentions. But the sugar and cream of resulting joy and humility make the doctrines of grace more palatable for those who are learning the taste." Martin Glynn thinks people are flocking to Calvinism not because it's "more logical or biblical than Arminianism, but because it is satisfying certain cultural needs better than Arminianism does." When people make wild charges against Calvinists, saying things like "John Calvin's god ... is blasphemous, capricious, and malevolent," or that we teach a "mutant works righteousness," you would at least expect some kind of half-hearted attempt to provide scriptural support for such a position -- even it means ripping verses out of context. Nope. I've found that those who make such ridiculous and ignorant statements rarely use specific references to scripture. Looking for a wide selection of books on Calvin? Start here. "I have done so because I have considered it to present the more “gentle” God, a God who I was more willing to worship." That says a mouthful right there. I've had people articulate things similar to the blog's statement that you mention: Calvinism teaches mutant works righteousness. In my experience those statements are made by people who really have a ignorant understanding of theology. I don't believe any theologically astute Arminian that I know would make that charge, because if one has a true understanding of theology, they would recognize that Calvinism couldn't possibly be any farther from works righteousness than it already is - its fundamental idea is that it is God who works, not us. Anyone who doesn't understand that, just doesn't understand Calvinism. "Martin Glynn thinks people are flocking to Calvinism not because it's 'more logical or biblical than Arminianism, but because it is satisfying certain cultural needs better than Arminianism does.'" That's a bit tough for me to reconcile.